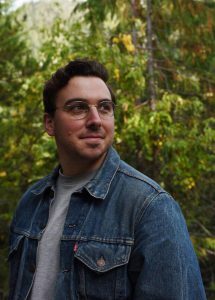 Second-year UBC Journalism student Dustin Patar has been named a 2019 Carnegie-Knight News21 Fellow, joining an international team of student journalists investigating how the U.S. handles natural disasters. News21 is based at the Walter Cronkite School of Journalism and Mass Communication at Arizona State University. Patar is one of 24 students from 19 universities in the U.S. and Ireland, plus a dozen students at the Cronkite School, who will produce an in-depth multimedia project. “It’s been increasingly impossible to not notice that natural disasters occur more frequently and with greater intensity than they have before,” said Patar. He has begun attending weekly seminars taught via video conference by News21 Executive Director Jacquee Petchel, a Pulitzer-Prize winner journalist and former senior editor at the Houston Chronicle. The students are planning their investigations, including researching and interviewing experts. From May to August, they come together for the paid fellowship in Phoenix, Arizona. Patar — who is a dual Canadian and American citizen — is well suited to in-depth reporting and reporting on environmental issues. Last summer he interned for the oceans-focused Hakai Magazine in Victoria, B.C., and he is currently a member of this year’s International Reporting Program. As part of the program, Patar recently travelled to West Africa to report on the seafood industry. The News21 project will examine the U.S. federal, state, and local responses to disasters, from hurricanes, tornadoes and wildfires to disasters that have garnered less media attention. Students will look at how federal and state governments have handled disasters and where the money was spent. They will also examine how communities recover from natural disasters. Patar joins five other UBC Journalism students who have been selected for the prestigious fellowship. Last year, Anya Zoledziowski contributed to Hate in America, which examined racism and hate crimes in the U.S. by combining on the ground reporting with analysis of national crime victimization data. Zoledziowski co-authored an in-depth article about disproportionate violence against Native American women. In 2017, Lauren Kaljur helped produce Troubled Water, a sweeping investigation about drinking water in the U.S. In 2016, Mike Lakusiak worked on the Voting Wars project, a deep dive into voting rights and participation in America. Past projects have been published in major outlets such as The Washington Post and USA Today. They have garnered numerous awards, including five EPPY Awards from Editor & Publisher magazine and the Student Edward R. Murrow Award for video excellence.